With so many businesses hyperfocused on maximizing profit margins and business efficiency, it’s no surprise that employee safety becomes more of an afterthought on a day-to-day basis. While office employees might not to too concerned with their safety, drivers in commercial fleets put themselves at risk every single time they get behind the wheel. So how do fleets keep their employees safe while growing their businesses? In this blog, the fleet management software experts at Skypatrol will break down the keys to fleet driver safety. With the right mindset and a little help from innovative technology, drivers can be safer than ever before while still helping their businesses succeed! Have a strict and thorough hiring process. One of the best ways to keep your drivers safe is to not hire risky drivers in the first place. That’s why it’s incredibly important to have a strict and comprehensive hiring process. New hires, especially those with limited or no commercial driving experience, can pose a huge risk for your fleet’s safety, efficiency, and productivity—so make sure your new drivers are qualified and certified for the job. Don’t just take their word for it—do an extensive background check, drug test periodically, and make sure their CDL and other certifications are valid and up to date. There’s no such thing as too cautious when it comes to vetting potential employees—put in the time and the money up front, and have fewer employee-related headaches down the road. In the world of fleet drivers, it’s not just about being safe—it’s about staying safe. Continuing education on driver safety serves as a constant reminder for drivers to act responsibly on the road, and it provides them with crucial tips and tricks to make it happen. While many drivers would rather be out on the road instead of sitting in a conference room learning about safety, it’s the better and safer option to keep your drivers educated. Poor driving habits or a neglect for road safety won’t just put your drivers at risk—it will harm the public perception of your business, too. Imagine one of your drivers cruising well over the speed limit, swerving through traffic, cutting people off, and being a general nuisance on the road—all with your company’s logo on the truck for everyone in traffic to see. What does that say about your business? Poor driving behaviors can endanger everyone on the road, and lead to short- and long-term damage to your business operations. So how do you know when your drivers are being irresponsible, and how do you hold them accountable for their actions? But this is only half of the story. You can’t just record the actions of your drivers—you have to hold them accountable for those actions, too. Developing a strict and explicit disciplinary system for your drivers is a great way to promote safe driving—fear of losing bonuses, getting hours cut, or job termination are all very reasonable punishments if a driver is putting your business and the public at risk. Most importantly, you must uphold these punishments 100 percent of the time, no matter how difficult it might be. Even your best or most experienced driver is capable of breaking the rules and being unsafe on the road, and they must face the same consequences as the newest person on your team. It’s effective to punish your drivers for poor driving behavior, but it’s arguably more effective to reward your drivers for safe driving behavior. Giving your drivers a reason to drive safely—like offering a safe driving bonus or paid time off—can be a great way to inspire healthy competition amongst your drivers, and make your drivers feel appreciated for their hard work and careful driving. Ultimately, your drivers are the ones out in the field, risking their safety and well-being to get the job done and improve your business—and while they can certain put themselves in unsafe situations with their driving behavior, they can also be thrown into unsafe driving environments because of your route planning decisions. Some roads are more dangerous than others—high-traffic areas, construction zones, and roads that aren’t truck-friendly could stress out your drivers and compromise their safety without you knowing it. This doesn’t just put your drivers at risk—it can slow down your delivery times and tank the efficiency of your business. That’s why it’s so important to talk to your drivers about the driving conditions they face on a daily basis. Your drivers know which roads are congested during rush hour or lunch hour, and they certainly know which roads cause them the most stress and grief during the week. If you can avoid these troubling routes and find alternate routes, you’ll have happier, safer drivers, better business efficiency, and ultimately, larger profits. 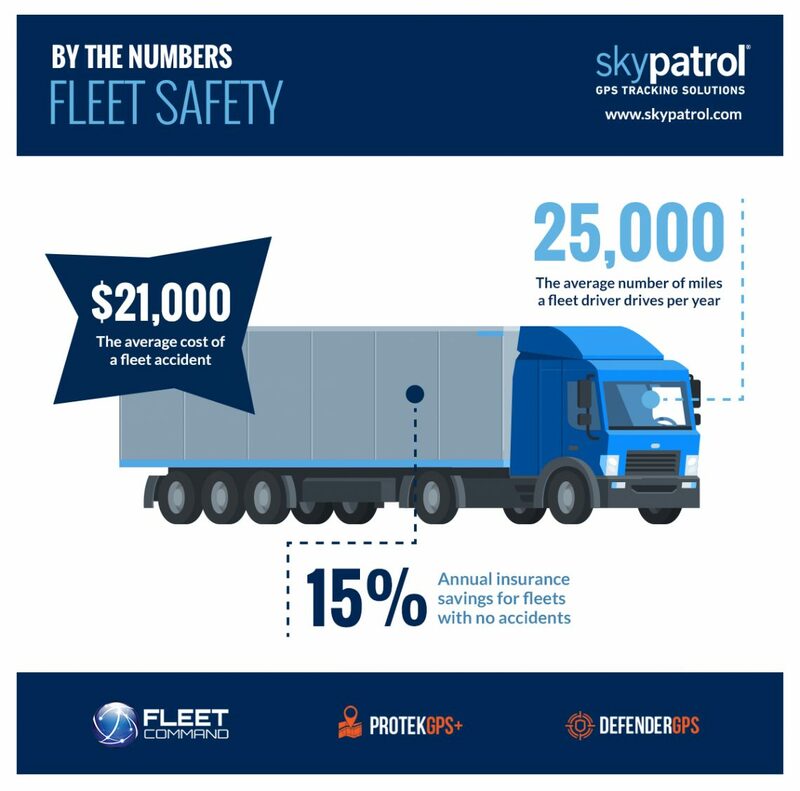 Better driver safety is within your fleet’s reach—all you need is some GPS technology and innovative software from Fleet Command by Skypatrol. 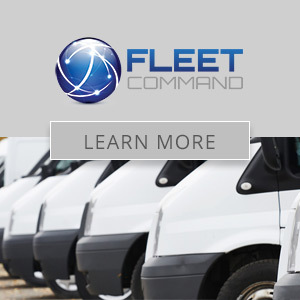 Fleet Command is built with small and mid-size fleets in mind, helping managers monitor driver behavior, improve fleet efficiency, and grow their businesses. Schedule a demo of Fleet Command today.